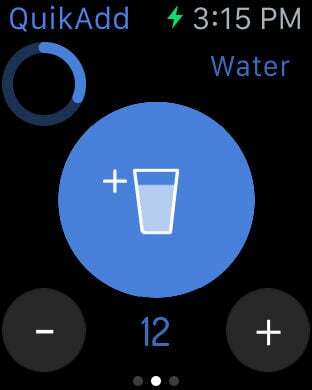 AddWater Pro tracks your daily hydration in an easy-to-use app that determines your optimal hydration needs automatically. AddWater Pro is customizable to fit your lifestyle. It allows you to track your history, and it provides a fun reward for staying on track and meeting your daily goals. Above all, AddWater Pro is quick. You don't spend time going to different screens, selecting containers or glasses, then tapping buttons to enter an amount. Just slide and let go. BOOM, you're done. AddWater Pro lets you spend your time drinking water, not logging it. 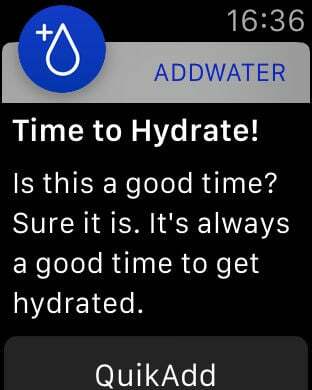 AddWater Pro takes advantage of the Apple Watch sophistication to bring you great features like QuikAdd, Tags and an at-a-glance overview of your current hydration status. Enter the amount you most frequently drink in Settings. Then when you need to enter that amount, just tap the QuikAdd button. BOOM! Done. Pretty easy, eh? 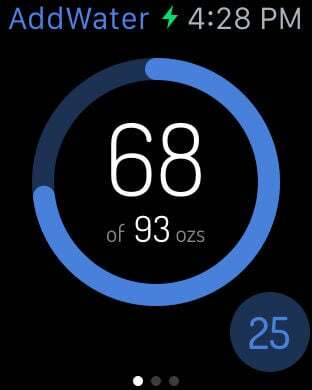 We've put the ease of QuikAdd, adding the ability to adjust the amount, right inside your Today widget and you also get an overview of your current hydration status. 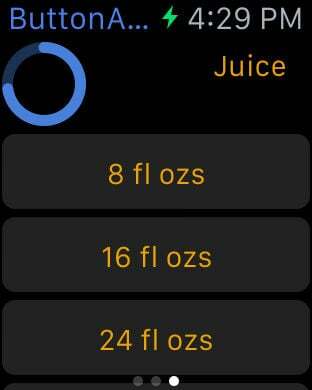 When you select an amount in the main screen, hold and a list of drink types appears. Tap the type. The amount, with the tag, is entered. 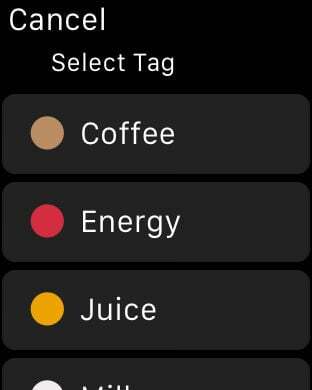 QuikAdd (main screen) - Double tap and the same list of drink-types appears. QuikAdd (Today widget) - tap Show Tags... and the list of tags appears. Tap the tag you want, then tap QuikAdd to enter. Fully customizable reminders - Hourly, Daily or Event. To receive hourly reminders, set a start time, an end time and the interval you want to be reminded. Add a custom sound and away you go! Event reminders help you stay hydrated before an athletic endeavor - reminding you to hydrate fully two days and one day out to stick to your goal; with a reminder to pre-hydrate two hours before the race start. Personalize AddWater with your own picture for inspiration or fun. Sync with your Fitbit account and AddWater will create your goal, based on your Fitbit profile. AddWater will also automatically update your Lifestyle Index based on your Fitbit step count. Connect AddWater to your Twitter account and AddWater will let everyone know how awesome you are when you reach your goal. So, water you waiting for? Time to AddWater!